Honeymoons, Inc. specializes in Hawaii honeymoon vacations and Hawaii weddings. Whether you're looking for an intimate getaway in Molokai, the magic of Maui, or the legendary beach of Waikiki, we can make your planning easy and find you the best values. Linda Dancer is our Hawaii Honeymoon Expert, and she's been named one of the top 25 travel agents by the Oahu Visitors Bureau, and one of the Top 50 travel agents by Hyatt Resorts in Hawaii! Check her out on Facebook or her blog Island Romance Concierge! You can reach her toll free at (888) 811-1888 ext. 331, directly at (931) 337-0070, or email [email protected]. Please note that Hawaii does not have all inclusive resorts like you'll find in Mexico and the Caribbean. Hawaii Honeymoons often include breakfast or food and beverage credits, but not always. Packages can also be purchased with or without: Airfare, cars, transfers and activities. If you see advertisements for all inclusive Hawaii Honeymoon packages, most likely they are referring to a package that includes airfare, resort and car. "I have always found from working with my many clients that it is best to first listen to the clients describe what they want their Hawaiian experience to be, and then create a custom package based upon their length of stay in the islands and budget." Honeymoons, Inc. is a proud member in good standing of the Hawaii Visitors & Convention Bureau. Linda Dancer with Honeymoons, Inc was integral in making our honeymoon to Hawaii a success. I tried few travel agents prior to using this service and Linda was so professional and she actually cared about making our honeymoon perfect and stress free. I was very happy with this service. Thank you so much for the surprise! Thanks for your email. We continue to use Linda for all of our travel needs and are always blown away by how wonderful she is! Two years ago she planned our incredible destination wedding in Maui and also our honeymoon in Kauai. Our recent babymoon at the new Secrets Akumal Riviera Maya resort was absolutely wonderful. Linda took care of everything and even arranged transportation for us from the airport to our hotel and back. We were also flagged for numerous upgrades and received excellent service due to Linda’s exceptional reputation with Secrets. Thank you again for making our trip so special! We were thoroughly pleased with our honeymoon experience- so much so we didn't want to come home! Royal Lahaina Resort was AMAZING and everyone there was so pleasant and helpful. The room had a gorgeous view and was very clean and comfortable. We have already recommended Honeymoons Inc to people and will continue to do so. In addition, it was a joy working with Linda Dancer. She really did make things go incredibly smoothly for us and was attentive to all our questions/concerns. Thanks a million to everyone involved for making this the BEST trip ever. 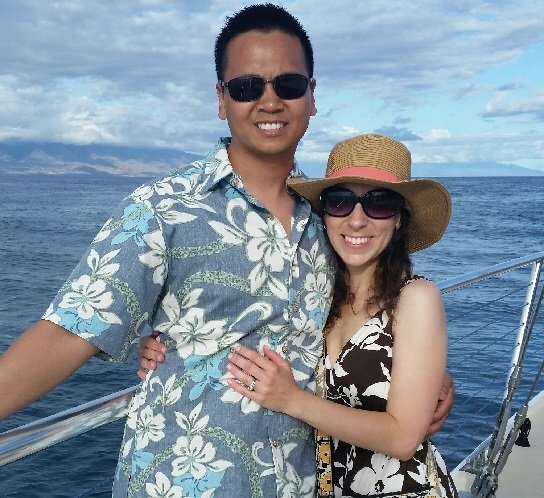 A sincere thank you for the wonderful job you did in arranging our honeymoon trip to Maui. My wife and I returned last night, and we had a fantastic time. We hiked, went to Lanai with the Trilogy tour (maybe the best part for me), spent time in the spa, and of course relaxed in the sun and ate an inordinate amount of food. You were integral to making this all happen, in such a short amount of time and with such dedication. Thank you! Please let me know if I can be of any help in referring you to others. I look forward to working with you on our next getaway. Well, Susie and Greg returned from their honeymoon in Kauai and Hawaii last Saturday. Before too much time gets away on me, I needed to let you know how much we appreciated ALL YOUR HARD WORK to make this special time in their lives perfect. Because of your attention to detail and taking the time to understand their personalities and what would be best for them, they had a WONDERFUL honeymoon. You really went above and beyond in every way. All the travel connections, reservations, and special requests went so smoothly! It was perfect and will be the memory of a lifetime - which is what I wanted. THANK YOU SO MUCH! 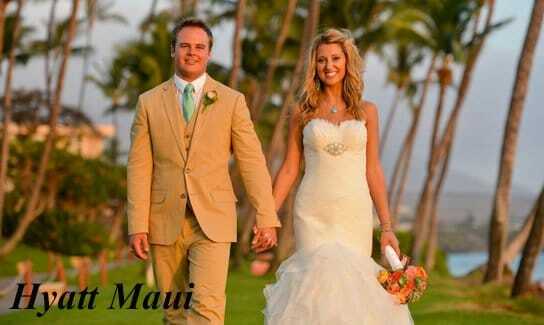 I would highly recommend your services to anyone looking for an extraordinary experience for their Hawaii Honeymoon!